 Hi and welcome back to our guide on how to correctly install and configure WooCommerce. 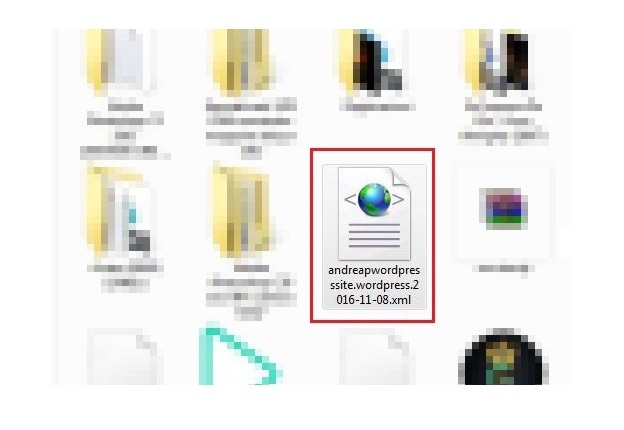 In the last chapter, we have seen how to use the WooCommerce export tool to save our store data in a file that we can use as a backup copy or to transfer information from one website to another. To do this, we need to know how to use the import tool. While the export data process is rather linear, to import this data we can use several tools. 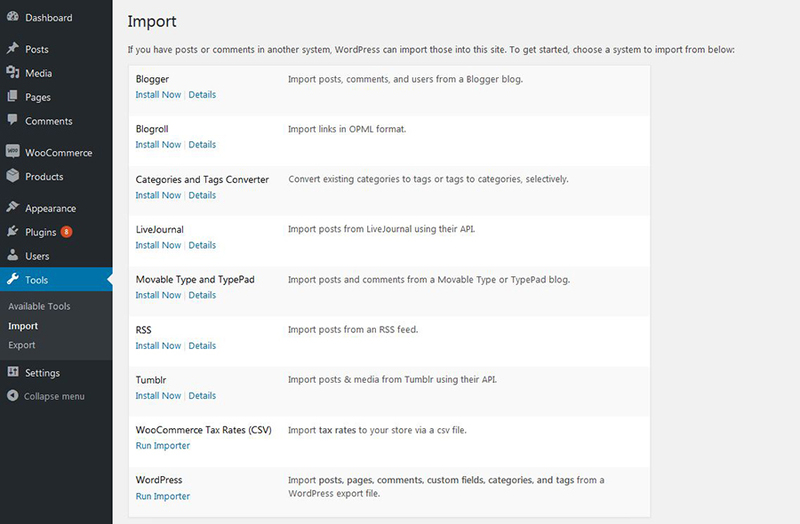 Here we find all of the tools WordPress and WooCommerce offer in order to import our data. The data we want to import doesn’t necessarily need to have been exported from a WordPress site, it might be coming from somewhere else. The first tool is Blogger, this function allows you to import relevant data from your Google Blogger built blog to your WordPress installation. 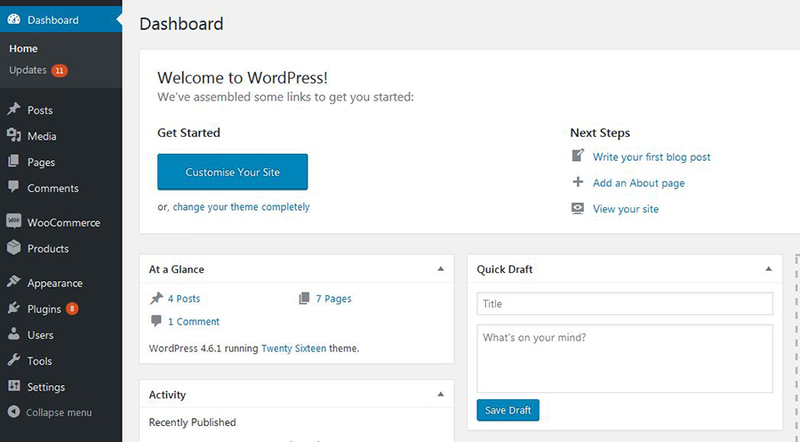 The second tool is Blogroll, this function allows you to import data to your WordPress installation using an OPML format file. The third option is “Categories and Tags converter”: this function lets you turn categories into tags and the other way around. 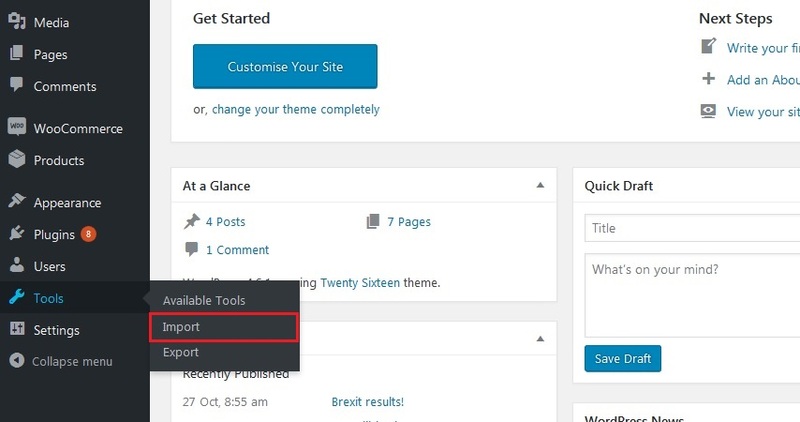 Further down in the options list, you will find “LiveJournal”: by inserting username and password of the LiveJournal service, you can use this function to import its posts on your WordPress installation. The same goes for Movable Type and TypePad, a tool that other than importing posts, also allows you to import their comments. RSS allows you to import posts directly from RSS feed. 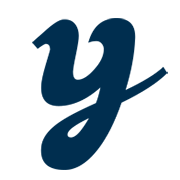 Tumblr allows you to import articles and media directly from this blog service. If you have a dedicated CSV file, you can set the rate of taxes on WooCommerce thanks to its dedicated tool. In order to import the file we have exported in the last article, let’s select this option. That’s all for today! Thank you for following our guide and see you in the next chapter!